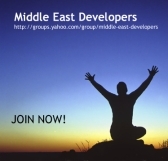 Hey, These are some Interview Questions with suggested answers we collected in Middle-East-Developers, for more questions in other fields like C++, you can check the group. Q1: Can DateTime variables be null? Q2: Describe the Asp.net Page Life Cycle? Q3: Describe the Asp.net pipeline ? Give an Example when you need to extend it? How do you do so? Q5: Difference between an interface and abstract class? A5: In the interface all methods must be abstract, in the abstract class some methods can be concrete. In the interface no accessibility modifiers are allowed, which is ok in abstract classes. Q6: How do you perform pre- and post-processing to extend a WebMethod ? Q7: What are Design Patterns? Q8: What do you know about .net framework 3.0 ? Q9: What do you know about ATLAS (Microsoft ASP.net AJAX Extensions) ? Q10: What do you know about Agile software methodologies? Q11: What do you know about Web Services Enhancements (WSE)? Q12: What is AJAX ? Q13:What is NUnit, or What is Unit testing? Q14: What is an Asp.net Http Handler & Http Module? Q15: What is mutable type ? immutable type ? A15: Immutable type are types whose instance data, fields and properties, does not change after the instance is created. Most value types are immutable, but the mutable type are A type whose instance data, fields and properties, can be changed after the instance is created. Most Reference Types are mutable. Q16: What is the HttpContext Object? Where is it accessible? A16: It's is an Object that Encapsulates all HTTP-specific information about an individual HTTP request. it is avaliable through out the Asp.net request pipline. Q17: What is the difference between String & StringBuilder classes? Q18: What's the difference between C# 1.0 & C# 2.0? Q19: Without using the multiplication or addition operations, how can you multiply a number x by 8? Q20: What is the difference between ASP.net 1.x & ASP.net 2.0 ? A20: Any answer that include stuff like Provider model (membership provider, role provider ... etc) and Master Pages, Code Beside model, new web controls will be ok. If you have more questions feel free to join the user group and add them directly to the database.